It began as a passion project. Steve Graf and Co-Founders, Baron Ziegler and Emily Peterson founded Valkyrie Selections with two primary goals in mind: sell enough wine to fund their consumption and bring a few new wines to market. 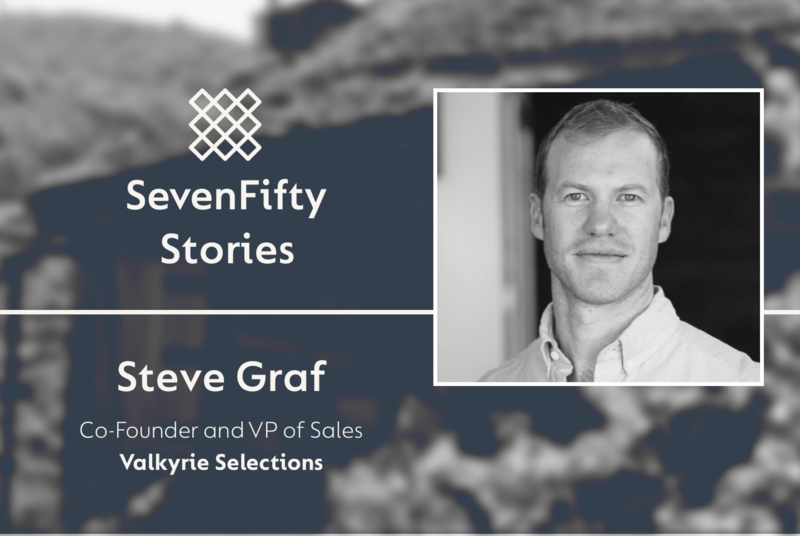 In just six years, Steve and his team transformed Valkyrie Selections into a multi-million dollar business. 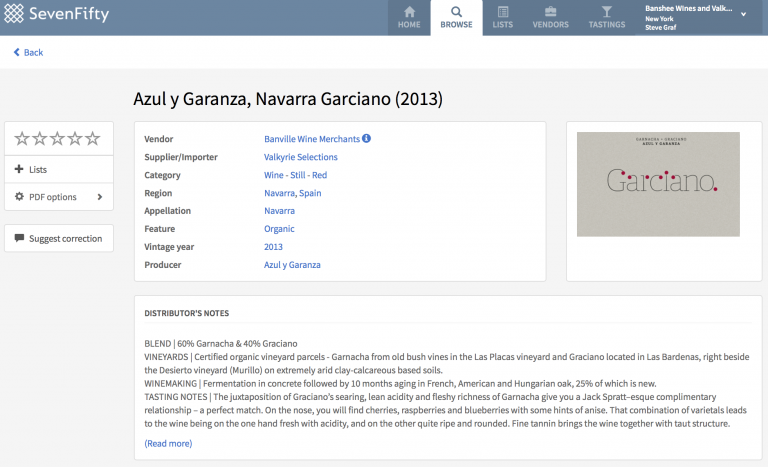 Valkyrie’s portfolio now features 150+ wines from family producers across Spain and France. Their 50+ trusted distributor partners move up to 90,000 cases per year across 42 states. 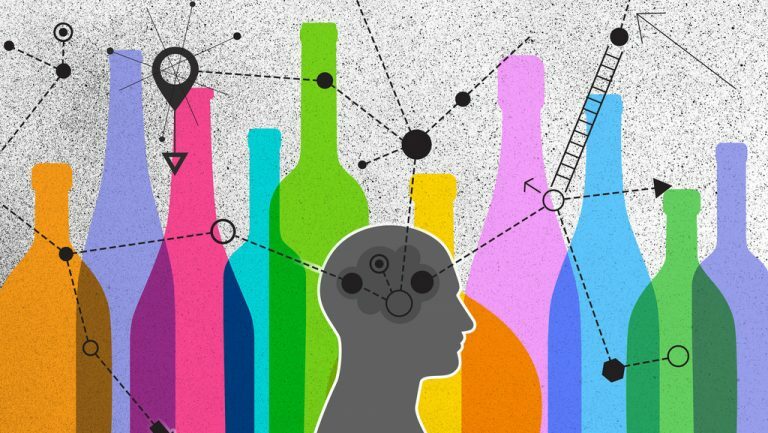 Securing the right distributor partners is essential for long-term success. With SevenFifty, you get direct access to 1,000+ national distributor portfolios. 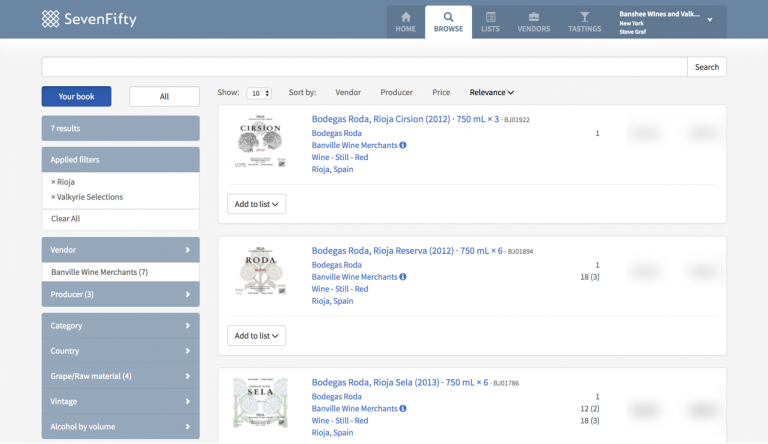 Search for products in any category or price range to understand how your product fits into potential partner portfolios. Locate your products in the national market. 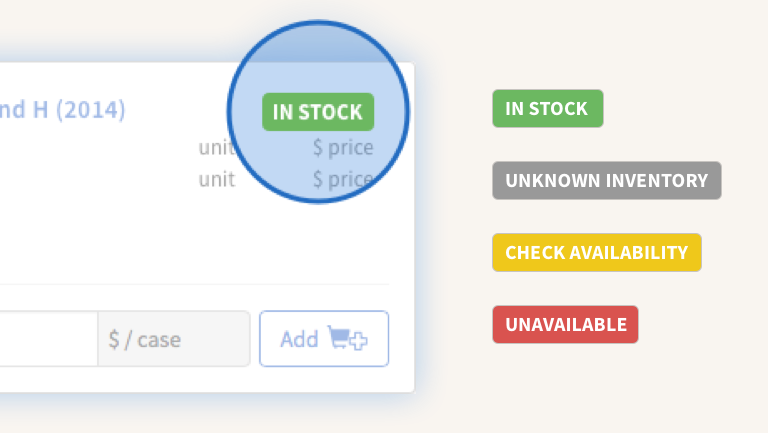 Make sure buyers only see accurate product information in markets where your brands are sold. 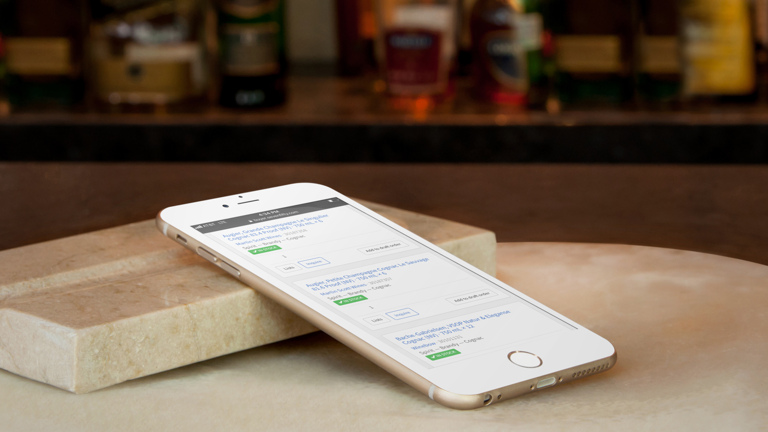 Suggest corrections or changes to your product listings on SevenFifty at any time. 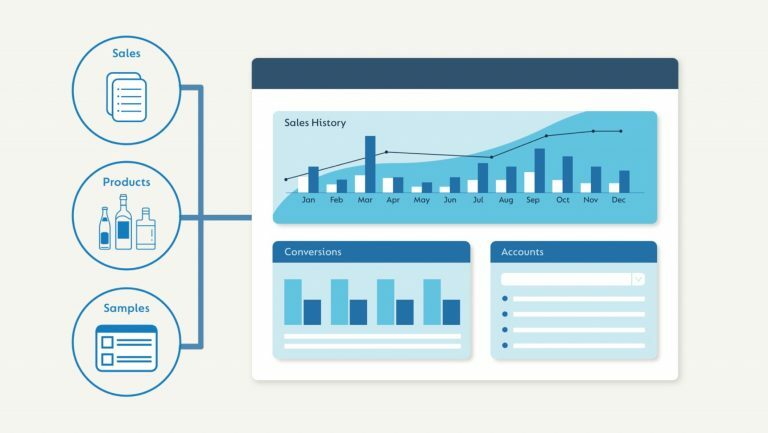 Find out how your products stack up against your competitors across 39 states. Search for competitor pricing and positioning information in key markets. Learn how you can make your products stand out in the national marketplace.